We have featured a number of Case-Mate cases here on Geeky Gadgets over the last few years, but their new Titanium iPhone 4 Case has to be the most expensive priced at $300. 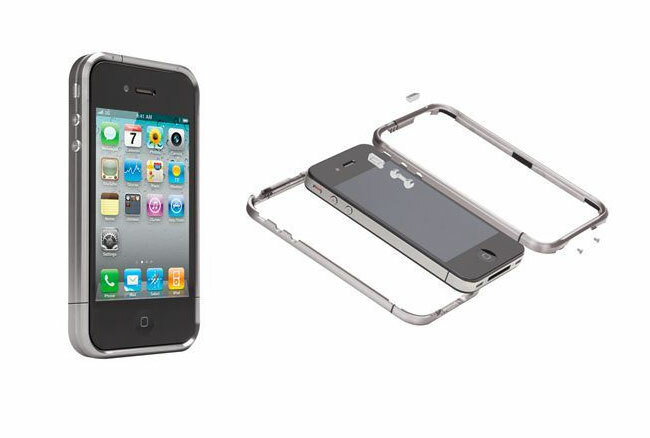 The Case-Mate Titanium iPhone 4 Case is machined from a single piece of titanium, which is used in the manufacture of aircraft and luxury vehicles. The case comes with its own mini tool set including a mini-screw driver to help you attach the Titanium case to your iPhone 4. Watch a brief promotional video after the jump to see the Titanium case up close. So if you fancy edging your iPhone 4 in the purest Titanium for a $300 price tag you can now order the Case-Mate case directly from their website, and its compatible with AT&T, Verizon, and the International iPhone 4.